Got Boring Marketing? Stop Trying to Please Everybody & Stand for Something! Tired of Meetings Going Nowhere? Give This a Try. You Call Yourself a Digital Marketer? 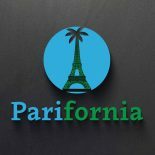 Parifornia is the creation of Andrew Hyncik, an experienced International Marketing executive who's lived and worked for over 20 years in both Europe and North America.